Close to Switzerland and Geneva, choose Côté Lac to explore the area, take part in countless sporting and cultural activities, go on a school trip or organize your seminars and training courses. 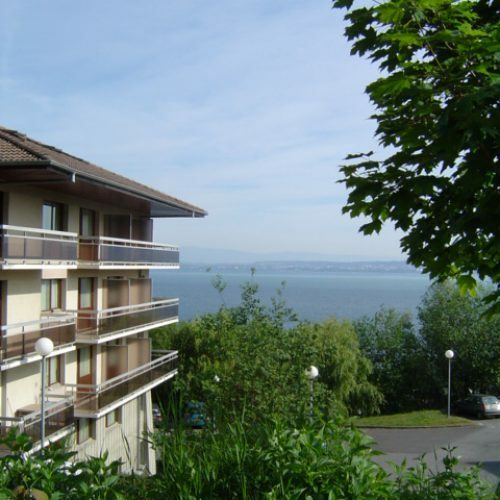 High quality facilities, competitive prices, a personalized welcome and friendly atmosphere, Ethic Etapes Côté Lac Evian is a whole attitude of mind ! Run by Espaces MJC Evian, a non profit making association since 1978, Côté Lac’s vocation is to allow people of different ages, cultures and backgrounds to meet, in the context of tourism, leisure, entertainment, scoio-cultural or professional activities, as well as to facilitate international exchanges . We have a social approach that respects the values ​​of the social and solidarity economy. As a member of the Ethic étapes national network, we share its values ​​in a spirit of solidarity and responsibility, having the meeting and the exchange as principles of action.